This is to inform all Noun graduands whose name have appeared on the graduation list. 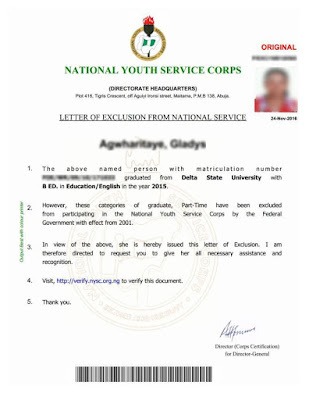 This is to notify you that the procedure leading to the collection of 2018 NYSC Exclusion Letters is ongoing. Registration Ends on 28th December 2018.